Do you like watching thrilling, fantasy and action movies? 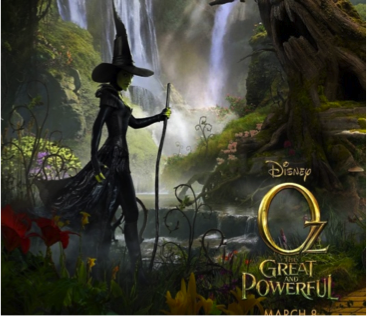 Then the new “Oz: The great and powerful” is the movie for you. This exhilarating film will have you leaving the theatre in awe. The film was released on March 8th and will be shown throughout the spring. It is a Disney Inc. Film and was directed by Sam Raimi. The film is based on the original novel of “The Wonderful Wizard of Oz” written by L. Frank Baum and serves as a prequel. The film is about a small-time circus magician who gets whisked away to a mysterious and vibrant Land of Oz. During his journey he must meet the 3 witches but the witches are not convinced he is the great wizard they have been expecting. Later he is drawn into epic problems between among the witches and the lands citizens. Oscar must find out who is good and who is evil before it is too late. Believe it or not, the cost of putting out the film was $325 million, which included making the entire movie and marketing expenses. Starring actors are: James Franco, Mila Kunis, Rachel Weisz and Michelle Williams. 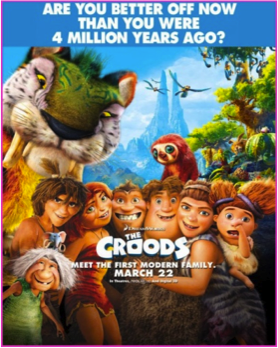 Another great Disney film your entire family would enjoy is the animated “The Croods”. This adventurous comedy film was released March 22nd and will be shown throughout the spring. The film was directed by Chris Sanders and Kirk DeMicco. The characters include a mother, father, grand-mother, 3 siblings (2 girls and 1 boy) and the new-comer inventor boy. The film is set in the prehistoric era where the oldest daughter longs to leave the cave and see the outside world. However, her over protective father, leader of the family, thinks the outside world is only dangerous and staying inside the cave is the best solution. He is later threatened by the arrival of a young prehistoric genius whole leads them outside their cave for the first time and who comes up with new inventions like fire. Their whole journey is to hike through a dangerous but exotic land to find a new cave as their home. The cast voices for “The Croods” include the well known famous Emma Stone, Ryan Reynolds and Nicolas Cage.